This easy-to-read handbook provides a comprehensive review of the current knowledge on lichens. The structure of lichens and their dual nature is explained, as well as the physiology of interaction of the symbionts. The way lichens reproduce and their ecology is included, with methods for cultivating them and their isolated symbionts. 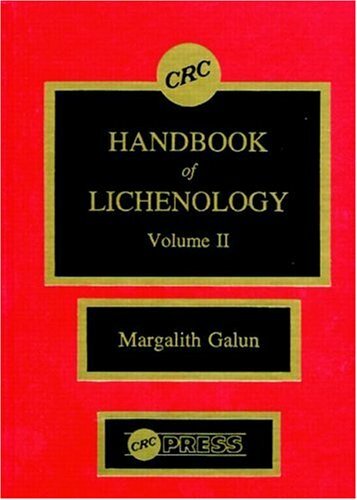 Extremely useful as a text of lichenology, this handbook will benefit students of lichenology and allied fields, those interested in symbiotic associations and ecology, and teachers of biology, botany, and ecology courses. Lichen Physiology and Ecophysiology. Ecology. Substrate Colonization, Growth, and Competition. Ecophysiology. Water Relations. Ecophysiological Relationships in Different Climatic Regions. Physiological Buffering. Contribution of Lichens to Ecosystems. Cellular Interactions. Effect of Symbiosis on the Photobiont. Effects of Symbiosis on the Mycobiont. Lichenization. Index.